“The perfect opportunity to finally get it right, as I heard it in my head”, is how IQ’s guitarist Mike Holmes describes the major motivation for IQ re-releasing their 1993 classic Ever in a special 25th Anniversary Remix edition. This sumptuously produced and packaged album impressively re-presents what was already a fine album with some interesting new twists, enhanced high quality and sparkling sonic clarity. 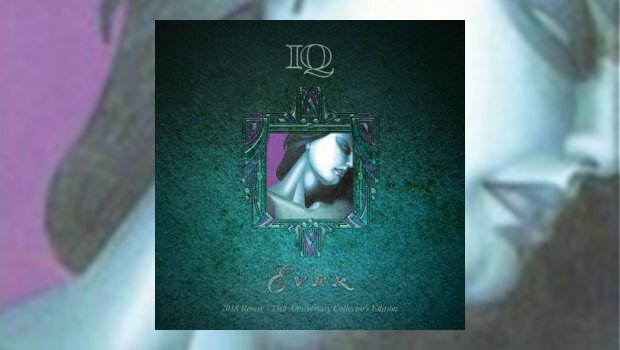 In terms of the context of the times and circumstances in which it was originally released and the message it sent out about IQ it could be argued that Ever is probably one of the most significant albums released by these masters of modern progressive rock. IQ’s early ’80s debut album Tales from the Lush Attic and its more Gothic follow-up The Wake amply demonstrated their potential and ability, but in all honesty were perhaps a little too derivative of early Genesis to mark them out with their own distinct identity. 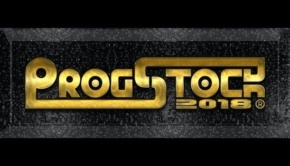 Their following two albums with new vocalist Paul Menel, Nomzamo and Are You Sitting Comfortably?, were a “bid to make prog rock for pop fans and clever pop music for prog fans”, according to keyboardist Martin Orford. However, as he says in the accompanying sleeve notes, this change in direction “was clearly dead in the water” by the end of the ’80s. Personal loss experienced by the band and a renewed bond of friendship brought them back together in the early ’90s with Peter Nicholls returning on vocals, and they set about writing an album which firmly established their own very distinctive and instantly recognisable ‘IQ Sound’. IQ have arguably written finer albums since, right up to the present day, in a remarkably consistent career, but Ever should rightfully be recognised as the album which really set them on their way, laying down their own inimitable blueprint to produce very high quality progressive rock imbued with melody, drama, poetic lyricism and outstanding musicianship. Those considering getting this release will be divided into two groups – those that may not know much or anything about IQ or this album, and those that may have followed them for years and no doubt already have a version of this album, and wondering whether it is worth getting this new edition. For progressive rock fans whom may be relatively unfamiliar with IQ, or perhaps just this IQ album in particular, I have no hesitation in unequivocally VERY HIGHLY RECOMMENDING this album – indeed, I genuinely envy you the experience of hearing this album for the very first time! Ever holds a special place in my heart and takes me back to a time in the early ’90s, before we all had such easy access to the Internet, when news about progressive music was almost impossible to find. This was the era when the mainstream rock press largely ignored or even spurned progressive rock (‘the music that dare not speak its name’), and fans virtually had to ask for their prog purchases in brown paper bags from under the counter! I had loved IQ’s first two albums and stayed with them for the two Menel era albums (with a little less enthusiasm to be honest), but apart from the curious hybrid album J’ai Pollette D’Arnu in 1991 it seemed they had more or less disappeared off the scene and I assumed that compilation was the last gasp of a now sadly defunct band. Fading Senses continues the melancholic feel with the opening After All vocal section, with new bassist John Jowitt’s bass beautifully and tastefully underpinning the pathos of Orford’s delicate keys and Nicholls’ mournful voice. The remix version greatly enhances a haunting vocal sample at the break as the song accelerates in tempo and increases in volume with the band launching into an impressive instrumental conclusion. Fading Senses typifies the subtle balance between quiet and heavy, light and shade, melody and power that characterises so much of IQ’s music from Ever onward. Birdsong effects take us into the much more staccato opening of Out of Nowhere with its memorable chugging rhythm driven along by Paul Cook’s superb drumming. Out of Nowhere shows that whilst IQ could ‘prog out’ with the best they could also write “some insistent and catchy melodies”, as Orford proudly describes. Even at their most musically ambitious IQ have always built their songs on memorable melodies and hooks. 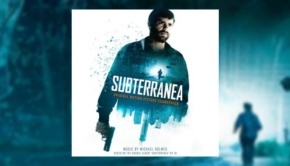 The centrepiece of the album is the epic Further Away, which opens elegiacally with Orford’s flute over tinkling keyboards, a perfect backdrop for Nicholls’ delicate vocals. This track is a flawed beauty as in my view the finale does not match the melodic heights and impact of the main body of the song, a view shared by Orford in the notes where he writes that the end section did not “quite achieve the cataclysmic hugeness it should have been destined for…”. Nevertheless, the overall effect is beguiling and exciting in turn with its striking mixture of delicate melancholy and darker more driven passages. How can I be on your side, If the line divides And if anyone should listen? If you asked me to tell you what that all means I would find it difficult to explain… but deep down I feel it, and that’s the secret of the best of Nicholls’ lyrics. They are poetic and ambiguous or even obscure at times, but that allows the listener to interpret and feel them in their own way, somehow touching on feelings and thoughts in a strangely indefinable but powerful way… and that’s how one of the best and most significant progressive rock albums of the 1990s finished, and it paved the way for a remarkably consistent career that still continues and flourishes to this day. 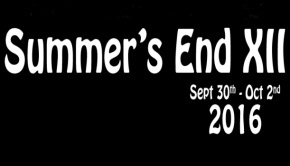 If that does not convince those unfamiliar with this band or album to obtain this release then I doubt anything will! But how about those that already have Ever? Is it worth getting this re-release? What does it have to offer over and above the original album? The answer to the first question is DEFINITELY YES! This is no mere ‘polishing up’ of an old album with barely discernible changes with a bit of new packaging that we see all too often. This is a finely produced remix that casts this classic in wonderful new light. The first disc adds to the sparkling new remix two additional tracks with some alternative solos for Came Down which may be even better than those used for the album. Lost in Paradise is actually a radical but very emotionally charged and subtle remix of The Darkest Hour, released as part of the charity compilation The Tsunami Projekt in 2005 to aid the survivors of the appalling tsunami disaster in Asia in late 2004. This remix casts a new light on the excellence of this song as the lyrics and melodies, shorn of their previous progressive trappings, shine in this touching tribute which also uses contemporary news sound clips to amplify the emotional impact of the song. The second disc presents a complete live performance of the Ever album in Germany in February 2018. 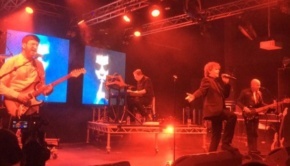 IQ are a brilliant live band so it is no surprise that they perform this classic flawlessly with present day keyboardist Neil Durrant and bassist Tim Esau effortlessly and skilfully playing the parts of Orford and Jowitt from the original album. This show also features the first time that the band have ever performed Further Away which was not played on the original Ever tour in 1993. It is an outstanding rendition and perhaps this time in a live setting they felt more able to fully do justice to their originally intended vision of ‘cataclysmic hugeness’ mentioned previously by Orford! Interestingly they switch the track listing about with Leap of Faith and Came Down following Fading Senses, which feels like a more natural and poetic progression. The foot stomping Out of Nowhere is suitably used as the finale, and just goes to show that a live show is NOT just the same as an album which needs to be slavishly followed as on record. Live veterans IQ know how to construct an engaging and flowing set list, even with an old favourite like Ever. Disc three features both the original album and live show in glorious 5.1 versions. If you have the technology this disc alone is well worth getting this package for as the job Holmes has done in remixing the album is stunning. Special mention must also go to current IQ keyboardist Neil Durrant. Apparently, for technical reasons you can read about in the booklet, the keyboard parts to the original album were not saved to the original tapes. Therefore, Durrant had to track down the original keyboards used by Orford (who no longer has such vintage keyboards). Durrant then painstakingly and brilliantly re-programmed every keyboard part played by Orford. As a fan who has heard the original album countless times and was not aware of the work done by Durrant for this re-release, when I first heard the updated version I can only say that I couldn’t see (or hear) the joins, such is the perfection and feel of his rendition. The keyboards are more separated and more prominent in this remix and 5.1 version, which does more justice to Orford’s brilliant contributions to the original album. Jowitt’s fine bass is also more noticeable and makes one realise even more what a great bassist he was for IQ over many years. Holmes’ fantastic guitars sparkle with extra clarity. Overall the production feels more full and resonant, and even for a fan like myself who is so familiar with the album it feels fresh, new and exciting. The DVD extras are also interesting, with demos, outtakes, unused ideas and rehearsals. Unholy Cow as the original forerunner of Out of Nowhere is particularly interesting and shows how songs can evolve so much in the writing process. It is clear that IQ were brimming over with ideas as the abundant excellence of the final product of Ever clearly demonstrated. This whole release is packaged beautifully with Nicholls’ lovely original artwork, which just seems to perfectly visually conjure up the elegiac and melancholic feel of this beautiful album. There is also an extensive booklet with extended and fascinating thoughts from all the band members involved in the original album and the remix version. Ever is definitely one of the most significant albums in IQ’s history, as well as one of the most outstanding progressive rock albums of the 1990s. The Ever 2018 remix special anniversary edition may probably be one of the best re-release packages of 2018 and the last few years. Just go and get it!